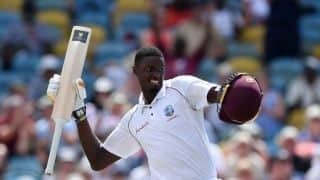 Overs 18.5: Rishabh Pant drills the penultimate delivery past the bowler as India overhaul the target to complete a seven-wicket win. India made 162/3 in reply to New Zealand’s 158/8 and thus drew level at 1-1 to keep the three-match series alive. We’re back with India’s chase. This doesn’t look a decent total but New Zealand nevertheless will fancy their chances. Indian batting, after failing in the first T20I, will have to fire tonight to draw level. NZ fielders have entered the field. And here come the two Indian openers Shikhar Dhawan and Rohit Sharma. India have dominated this fixture despite Colin de Grandhomme’s blitz in the middle overs that saw him notching up a maiden T20I fifty. They struck regularly, didn’t dole out freebies and were eventually rewarded. India need to score 159 to keep the three-match series alive. Overs 15.3: A quick double from Colin de Grandhomme takes him to his maiden T20I FIFTY off just 27 deliveries. This has been one excellent knock from the allrounder as it has guided his team out of trouble. Final five overs to go now. How much can NZ push the total to? They have done well to recover from 50/4. Double-bowling change – Krunal Pandya replaces Khaleel Ahmed and will deliver the final over of Powerplay. First bowling change from Rohit Sharma – Allrounder Hardik Pandya into the attack, replacing Bhuvi. 11:29 am: We’re done with the national anthems. India were pummelled in the last encounter but have kept faith in the same playing XI as have the hosts. A loud cheer from the Eden Park crowd greets the teams. New Zealand openers Tim Seifert and Colin Munro. Bhuvneshwar Kumar is warming up at this bowling mark. We are all set! ROHIT SHARMA: “We were looking to bowl first anyway. I know we lost the last game, but chasing has been our strength. We have spoken about what we need to do with bat and ball. Hopefully we can get a win today. We just need to do the right things and do them consistently. We discussed what went wrong in the last game. Hopefully we won’t repeat them. 11:02 am: New Zealand win toss, opt to bat against India in Auckland. Both teams are fielding the same side. 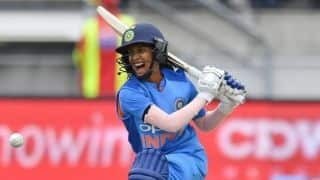 10:48 am: Meanwhile, India women have lost to their New Zealand counterparts in the 2nd ODI to by four wickets to concede the three-match series 0-2 with a game remaining. Batting first, India batting struggled, once again, as they posted 135/6, largely thanks to Jemimah Rodrigues’ 72 off 53. In reply, India bowlers fought well bun the hosts clinched the victory off the last ball of the match to seal the series in their favour. 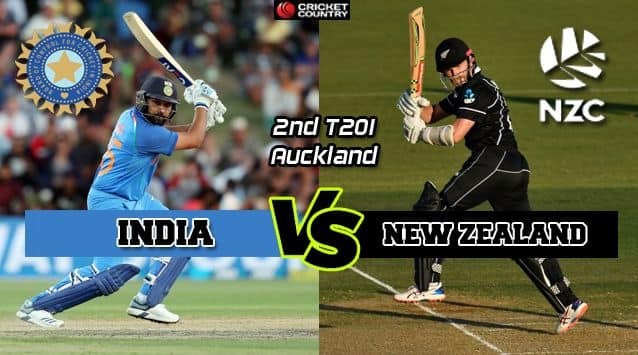 Hello and welcome to our live coverage of the 2nd T20I between India and New Zealand to be played at Eden Park, Auckland.